Yosemite Falls thunders down the north side of Yosemite Valley. 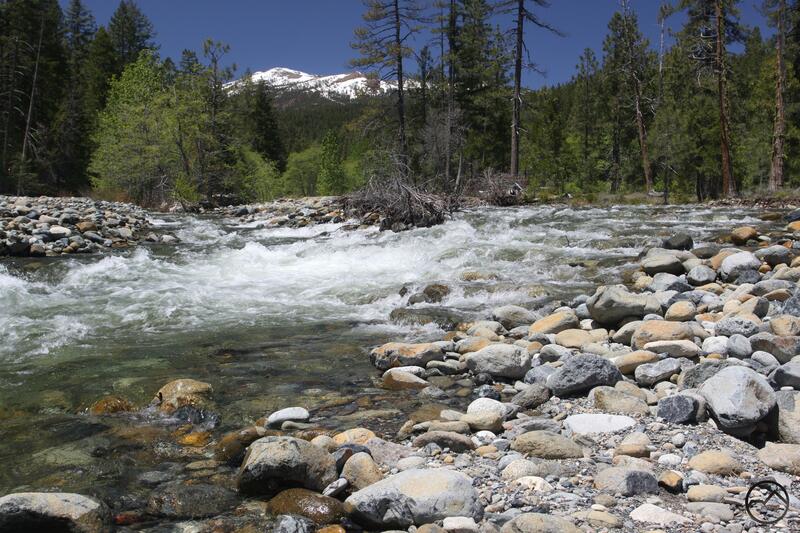 As June becomes imminent, the state of the snowpack across California becomes clearer. 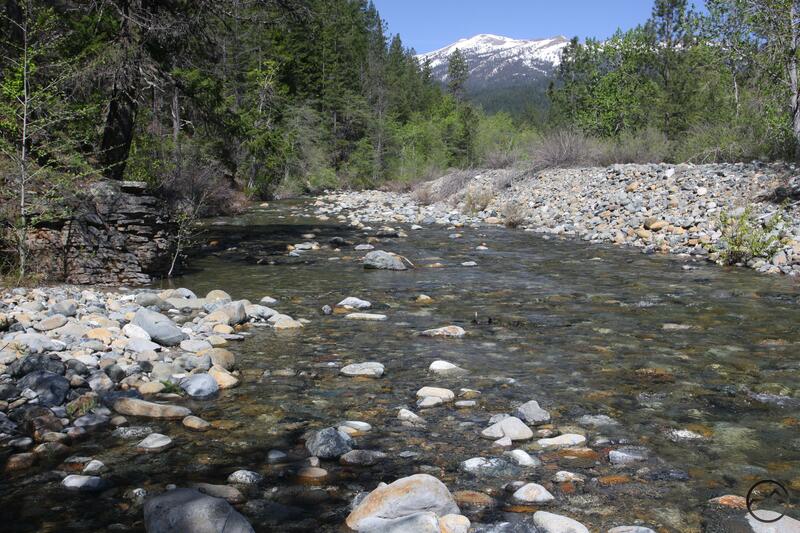 June is often the month when flows in the rivers around the state level off after the spring thaw and begin the gradual dwindling into their autumn trickles. From the Kern to the Sacramento, this is definitely not the case in 2017. Snow remains abundant at higher elevations and the increasing temperatures ensure that it is melting at a steady clip. Nonetheless, there is still deep snow in the high country and it will take a significant amount of time for it to melt out. This means the rivers, creeks and waterfalls of Northern California will remain strong and vigorous for the duration of the summer. Memorial weekend took me to Yosemite for a wedding. Though I did not have a lot of time and was limited in my opportunities to get out by my three young kids, we had an excellent time wandering the valley and checking out the magnificent waterfalls. All of the smaller, seasonal waterfalls were flowing strongly, heightening the beauty of the already incomparable valley. The main waterfalls were also swollen and awe-inspiring. While our pre-wedding visit to the valley was great and there were surprisingly few people in the park, our post wedding foray was an eye-opening immersion into just what the crowds can be like at the park. I have been going there frequently my entire life and never experienced such a thing. Even forewarned, it was still shocking. Thankfully Mount Shasta never gets that way. Obviously, Yosemite is not the normal beat for HikeMtShasta, but, as I have established in the past, there is a strong link between the beloved national park and Mount Shasta through John Muir. 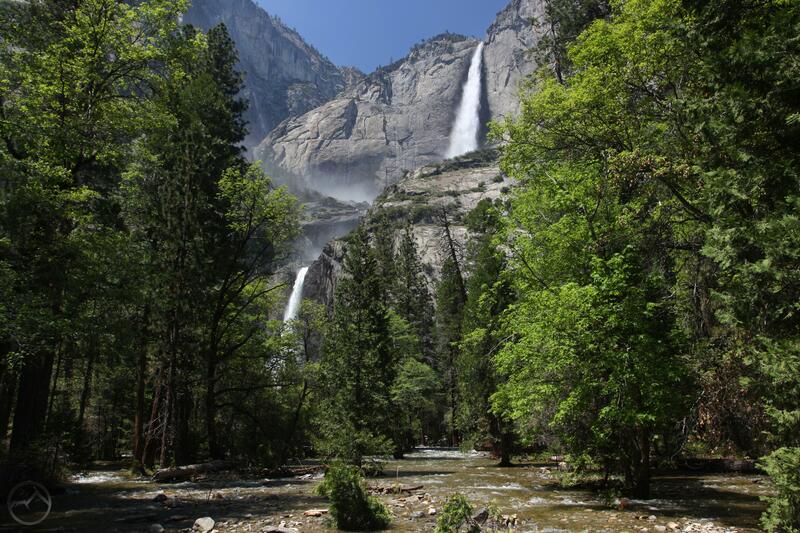 Furthermore, water has been a central theme on this blog and there are few more poetic and beautiful ways to illustrate how deep the snowpack is than to display waterfalls in Yosemite. 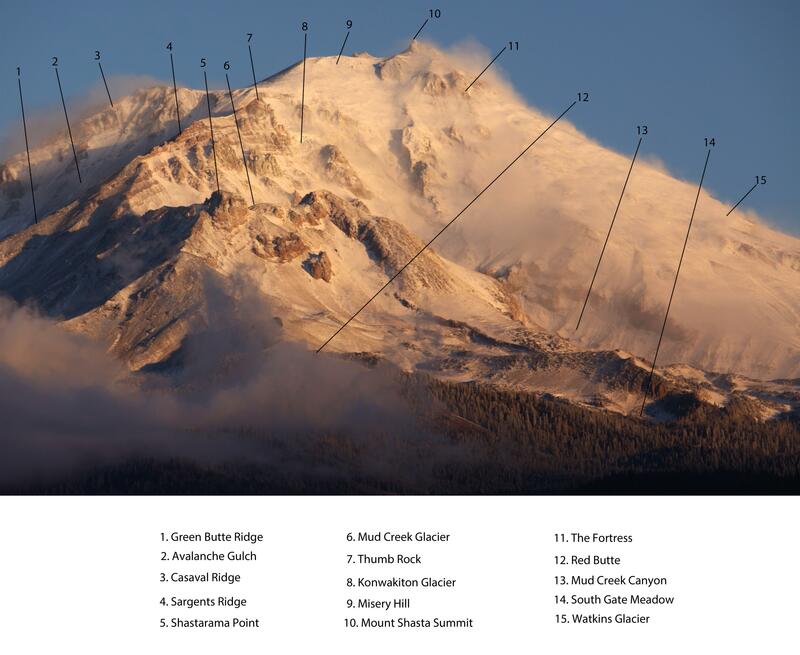 Since this is a Mount Shasta website, it certainly is fitting to include one shot of the great mountain. I captured this one a day before heading down to Yosemite. The fact that the falls are flowing at all indicates just how much snow there is to melt up here. High water indeed! Mount Eddy peeks through the trees at a vigorous stretch of the Sacramento River. I have been writing a lot lately about the Sacramento River’s activity near the Lake Siskiyou inlet. In large measure this is a result of my fascination with the history of water in the western United States (if you haven’t read Cadillac Desert, you really should). The Sacramento River is one of the linchpins of the hydrologic infrastructure in California as well as the state’s largest and longest river. 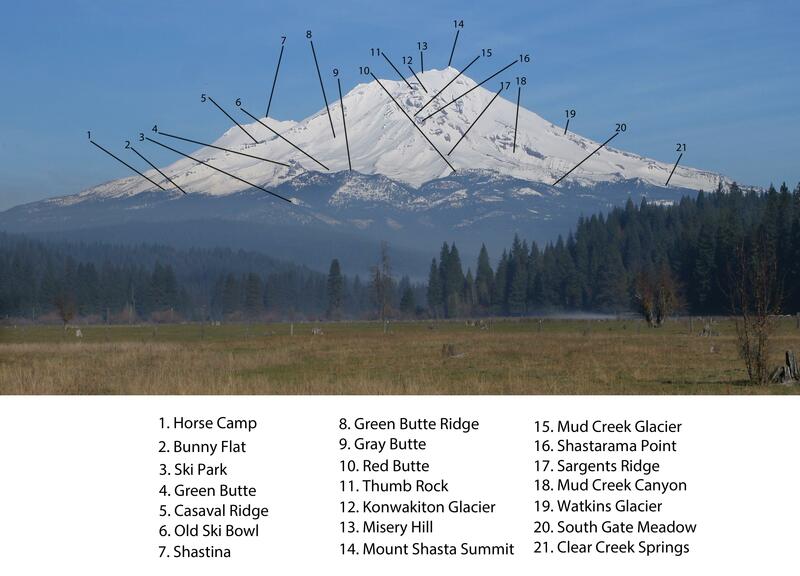 Yet it is often overlooked that this most critical piece in the Golden State’s puzzle begins here in the Mount Shasta area. 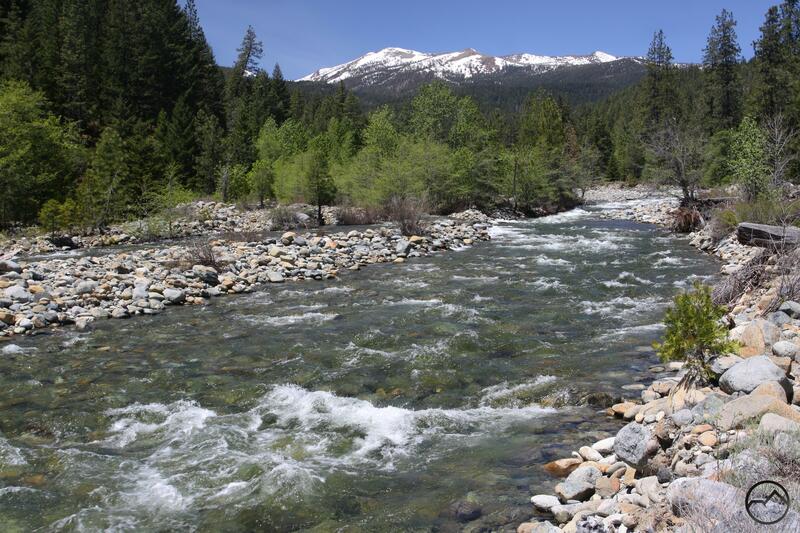 Indeed, though many people enjoy Lake Siskiyou or fish the river, we often forget what a powerful and important presence the river is in this area. 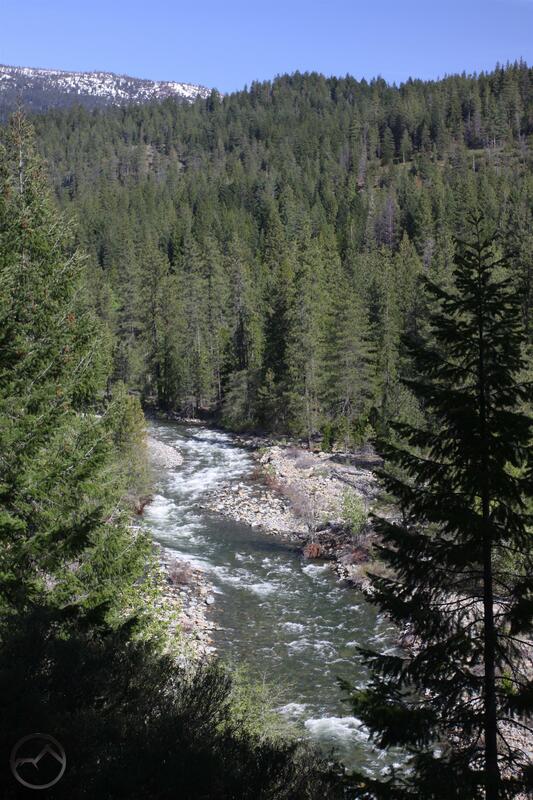 Strangely enough, despite its relatively short length, it is often the McCloud River, with its excellent waterfalls, that is often thought of as the river of the Mount Shasta area. Though there are probably several reasons why the Sacramento River is not appreciated as it ought to be (almost no trails along it! ), I think one of the most significant is the fact that the river is perpetually overshadowed by the large mountains that rise above it. The Castle Crags, Mount Eddy and Mount Shasta all command attention and respect and the Sacramento, lacking waterfalls and its box canyon damed up, does not boast many notable features (we really need a trail to Mossbrae Falls!) to attract people to it. It is thus ironic that the Sacramento River offers some of the best views of the three most notable mountains that rise above it. It is a remarkable showcase of the amazing topography that lies at the source of California’s most important river. This, perhaps, is the river’s iconic feature but it has managed to somehow go unnoticed. This needs to be rectified. The Castle Crags can often be hard to view from afar but the Sacramento River has spectacular vistas of the granite spires. Mount Eddy, on whose slopes the North Fork of the Sacramento is born, is often best viewed from the Sacramento River. Mount Shasta can be viewed from almost anywhere but the kinetic fury of the Sacramento River adds a marvelous dimension to the massive mountain. It continues to amaze me that there is only one developed trail that runs parallel to the Sacramento River. As these images reveal, there are numerous magnificent views of the mountains around the river waiting to be explored, discovered and enjoyed. In my last post, I brought up the possibility of extending the Lake Siskiyou Trail upstream, following the river on both sides and then crossing it by means of a permanent bridge. This would open up some of the most scenic sections of the river to hikers. It would also facilitate more exploration and rock scrambling as people explored the numerous channels the river splits into once the three forks have all combined. There is a lot of memories and beauty waiting to be appreciated along that section of the Sacramento River. The Sacramento River continues to erode its banks and alter the landscape. The Lake Siskiyou Trail can’t seem to catch a break. 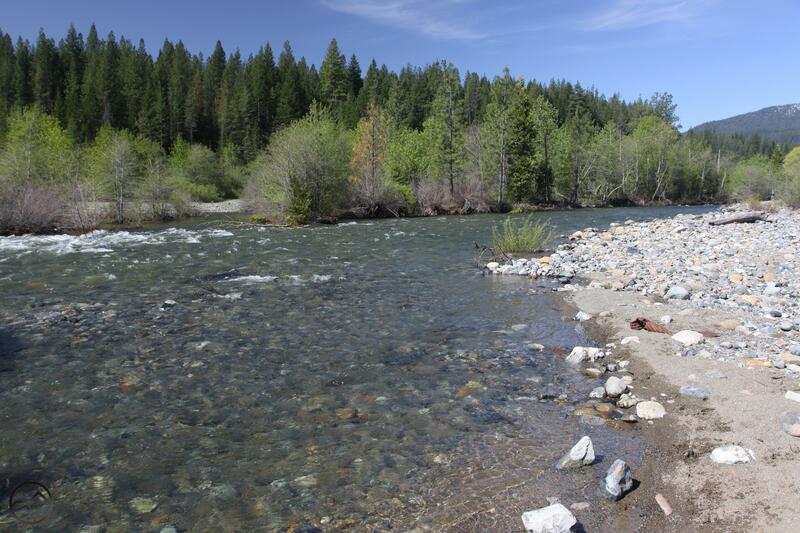 Ever since the Sacramento River bottled up its south channel a few years ago, the inlet area where the river flows into Lake Siskiyou has gone through an annual process of erosion, soil displacement and a general alteration of the landscape. Although it is fascinating to watch the river shape the land around it, the continual changes to the inlet area has had an adverse effect on the trail. Over the last three years more and more of the pathway, as well as the gabions that support seasonal bridges, have washed away into Lake Siskiyou. The winter of 2016/2017 was no different from the previous winters. More and more of the river’s inlet area was washed away as torrential rain and melting snow flooded the Sacramento River, causing it to yet again wash more rock and earth away. Though I have been to both the northern and southern channels this spring, I had not had a chance to cross the now flowing south channel(it has not flowed for the last two years, since it was blocked up during a flood and beginning the entire erosion process) since I had previously visited with my kids. For Mother’s Day, we decided to head back down to the south channel and let the kids play in the water, explore the wildflower-filled meadows and play in the wood forts that have been constructed at the edge of the forest. This afforded my the opportunity to cross the south channel and go examine exactly what changes occurred there. The Lake Siskiyou Trail ends abruptly at a cutbank. What I found was not shocking but it was impressive nonetheless. During the winter the river washed yet more land away and now flows into Lake Siskiyou by means of a seemingly perpetually deepening gully cut into the loose rock and soil of the floodplain. Entrance into the gully is now marked by a beautiful stair-step cataract. Not much of the gully was there last year, having been carved out by this winter’s torrential flows. The trail was washed out in two places. The first spot saw the trail just fade away at the edge of the lake. To pick up the extant trail required crossing a narrow isthmus of land that was only 1.5 feet wide. From there it is possible to pick the trail back up and follow it for about 30 yards before it abruptly ends at the 3 foot high cut bank. Below the unstable ledge the Sacramento River flows vigorously. The yellow line is original rerouted trail circa 2016. The pink segment has been lost. Red marks an alternate route for a new trail. The path avoids the lake and the unstable parts of the inlet. Unfortunately, rerouting the Lake Siskiyou Trail is likely not to be a permanent solution to the constantly changing conditions at the inlet. Half the original trail has been washed away and the cutbank that has developed on the north channel will make it harder to place the seasonal bridge. Long term, I think the solution will be to extend the trail west along the Sacramento River for another 0.75 miles and then construct permanent foot bridge across the river. This would have several benefits. First, it would make the loop around the lake passable all year, rather than when the seasonal bridges can be placed. This would also lift the constant threat of the trail being washed out. Second, it would open up a new trail experience, one that would highlight one of the prettiest stretches of the Sacramento River. I think folks would hike that section by itself, not just for the sections by the lake. 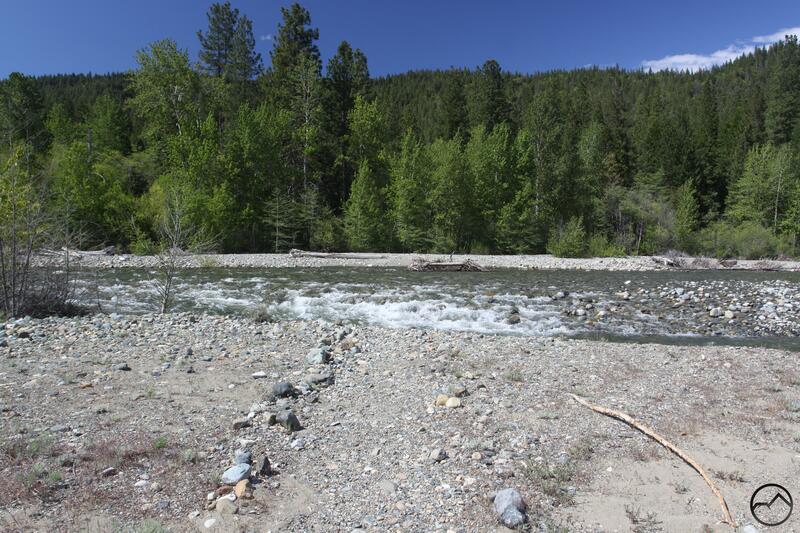 It would also present the opportunity to build a new trailhead along South Fork Road. Extending the trail upstream would also move things that much closer to connecting the Lake Siskiyou Trail to the Sisson-Callahan Trail. 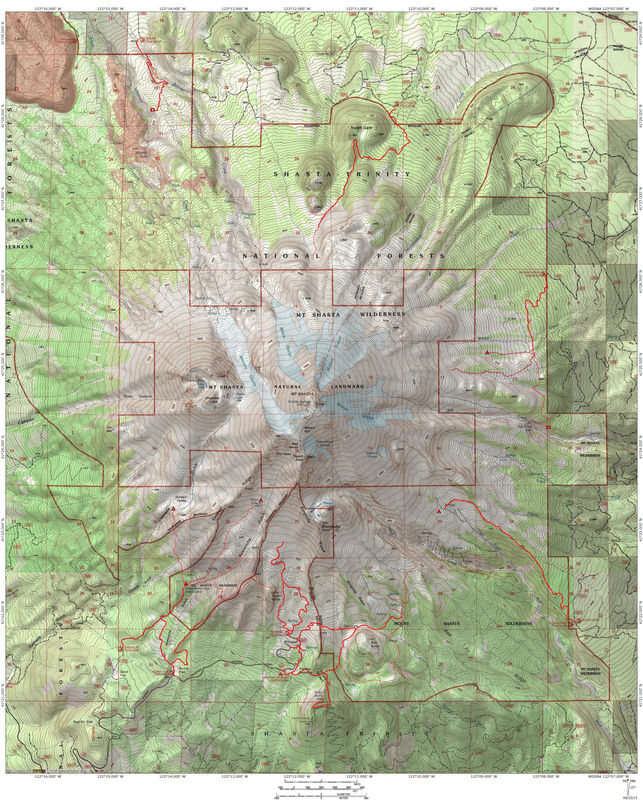 This would close one of the missing segments of my proposed Headwaters Loop. This proposal is due to get its own article soon. Where the seasonal bridge once stood there is now a nice cataract. The river now loses about 3 feet where the bridge once spanned the water. Note how the trail has been washed away at the cutbank. The trail once passed close to the new shoreline. Only a narrow isthmus of land allows passage between the lake and a deep pool of water. A secondary stream flows parallel to the north channel. The secondary flow rejoins the north channel. Storm clouds brew over Lake Siskiyou. The Sacramento River fans out over its flood plain at the Lake Siskiyou inlet. After yesterday’s post on the ever-changing conditions where the Sacramento River flows into Lake Siskiyou, I decided to pop back over and check out the conditions at the north channel. To recap, over the last few winters, the river has begun to reshape its path at a rapid rate. Prior to the winter of 2014/2015, the river had maintained a relatively stable course. The area was unchanged enough that construction on the Lake Siskiyou Trail was completed at the inlet. A trail and two sets of gabions for seasonal bridges were installed. The bridges crossed the river’s two channels that entered the lake. However, despite being a drought winter, sometime during one of the storms of 2014/2015, the river dammed up the southern (which was the primary) channel and shifted the entirety of its flow into the north channel. Unaccustomed to the volume of water now flowing through that area, the land gave way and much of the surface area around the north channel was scoured and washed away during high water over the next two years. Now the barrier that impeded flow into the south channel has been breached and after two years there is water flowing through it again. It is not nearly as much as contained in the north channel but it is not an insignificant level of water. The area along what is now the Sacramento’s main stem as it flows into the lake is still being altered by the heavy water. Most specifically, the area once traveled by the Lake Siskiyou Trail after crossing the north channel has been washed away. Most of the damage was done last winter but as the river surges past an aggregate-filled cutbank it is obvious that the process of erosion is by no means complete. It is likely that the route of the trail will continue to change over the next few winters as the land it travels is washed into the lake. Another noteworthy change is to the small creek that hikers encountered prior to reaching the rocky flood plain along the river. 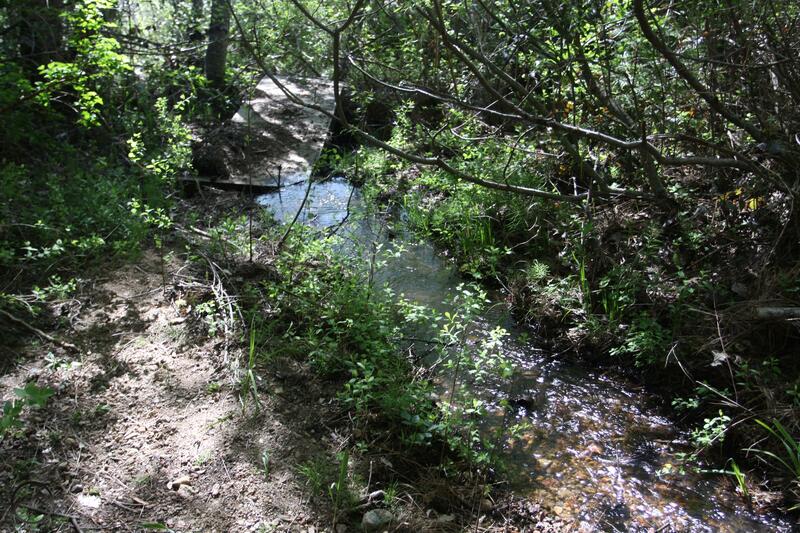 At one time this was a fairly large creek that required a substantial (but movable) bridge to be placed over it. The first flood to come through washed it away but it was hauled back into position. The bridge has now been washed away again. However, during the process of flooding, much of the creeks waterway has been filled with sediment and the bridge is more rendered somewhat unnecessary at this point. Somewhere upstream the flow in the creek has been diverted and the amount of water flowing through is not nearly what it was in the recent past. It will be interesting to see how this area changes during subsequent floods. 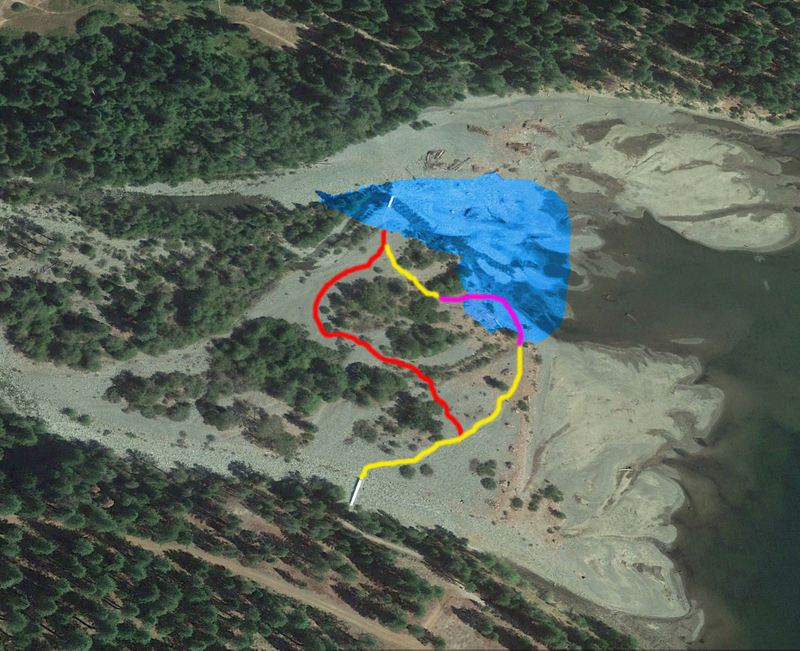 Long term, I think the best option for the Lake Siskiyou Trail would be to extend the route upstream from the inlet 0.6 mile to where the river is pinched by the walls of its canyon into a narrower channel than in other areas. It would be possible to build a bridge here that would be high enough to avoid flood waters. Just as important, the steeper canyon walls would facilitate the construction of a trail that would also avoid impact from higher river water. Even better, a further 0.5 miles of new trail past the bridge would connect the Lake Siskiyou Trail to the Sisson-Callahan Trail, linking important pieces of my proposed Headwaters Loop. I think I will reconnoiter the site I think would work and put up a post on it in the near future. Mount Eddy is visible above a strongly flowing south channel at the Lake Siskiyou inlet. Since the beginning of 2015, I have been documenting the changes that have occurred at the Sacramento River’s inlet into Lake Siskiyou. For many years the Sacramento River divided itself into a northern and southern channel at it flowed into the impounded Lake Siskiyou. Of the two, the southern tended to have the larger volume of water. However, during one heavy rain in the midst of the drought winter of 2014/2015, the river blocked up the southern channel at the inlet and forced all the water into the northern channel. See some of the posts that documented this process here, here and here. Most importantly, I found that the southern channel remained dry, even when the river volume was relatively dry. This was the case last year as well. However, we have had heavy precipitation all winter and the volume water in the river has been particularly high. At times it was downright scary how much water flowed into Lake Siskiyou. It should come as no surprise then, that the Sacramento River managed to open its southern channel back up and it now has a significant amount of water flowing through it. When the channel originally ran dry, the bridge that spanned it was left in place on the gabions. It was subsequently removed, though the gabions remained in place, of course. Unless hikers want to get their feet wet, it will now be necessary for the bridge to be reinstalled. Note the amount of snow on Mount Eddy. The drought winter left little even at high elevations. For the time being, the south channel has water in it once again, which is nice. For those who know the back way into the inlet from South Fork Road, it is a great place to take kids and let them play in the water. The section of the trail heading east along the south shore of the lake is also quite nice right now, before people doing the loop and campers from the Lake Siskiyou Resort have there way with it. Right now it feels quite isolated. It is also worth noting that the Sacramento River has been altering the landscape along its course at places other than the Lake Siskiyou inlet. I have not explored the Box Canyon yet (which no doubt got hammered when the lake went over the spillway during the winter) but I did note that the confluence of Castle Creek and the Sacramento has been altered as well. For the last several years, the creek reached the river six or so feet higher than the Sacramento. It cascaded down the rocky embankment in order to join the swift flowing river. Just prior to the confluence the Sacramento River separated into two channels around an island. Castle Creek joined in just as these two channels rejoined. Now all the rock at this point has been cleared out and the creek cascades down to the river as it meets one of the two channels, not the recombined stem of the river. It has somewhat diminished the great view but remains an awesome spot nonetheless. Despite the way the river has impacted the land around it, now is a great time to visit the Sacramento. 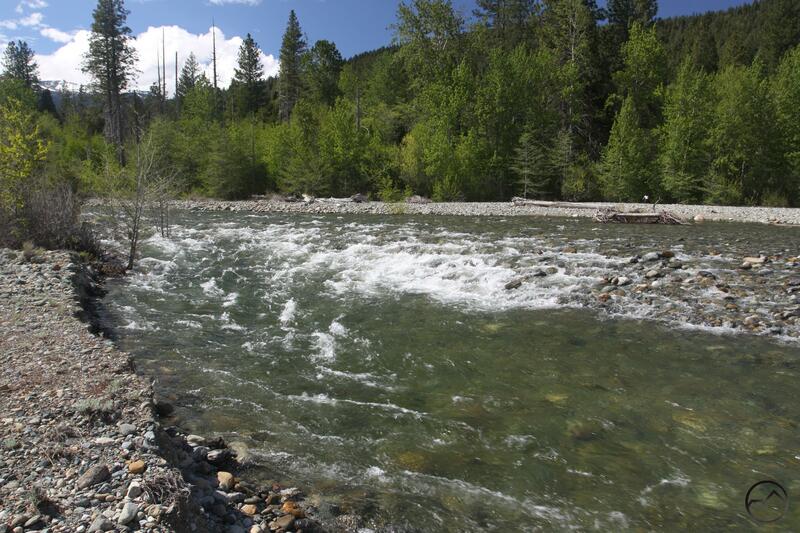 It isn’t the best time to hit swimming holes or let kids play in the water. 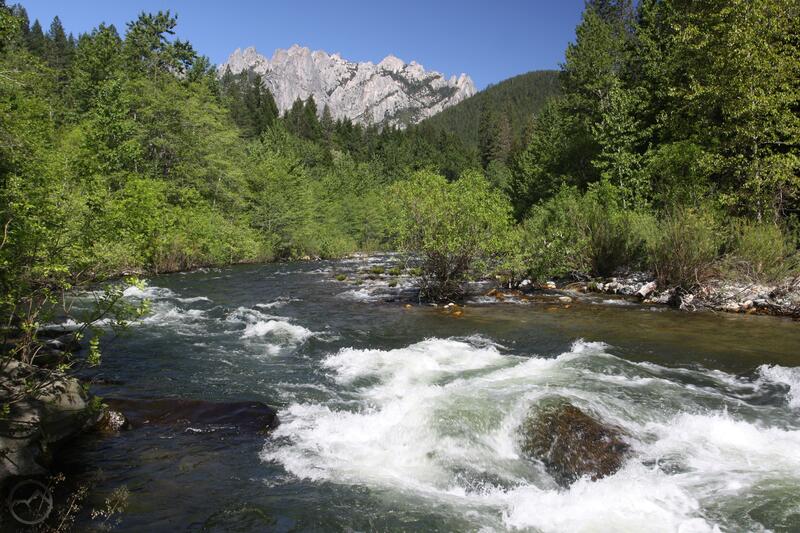 However, it is right now, as the temperatures increase and the snow melts, that the river takes on the full character of a real mountain river. It flows powerfully and swiftly, racing through rocky flood plains and deep canyons. 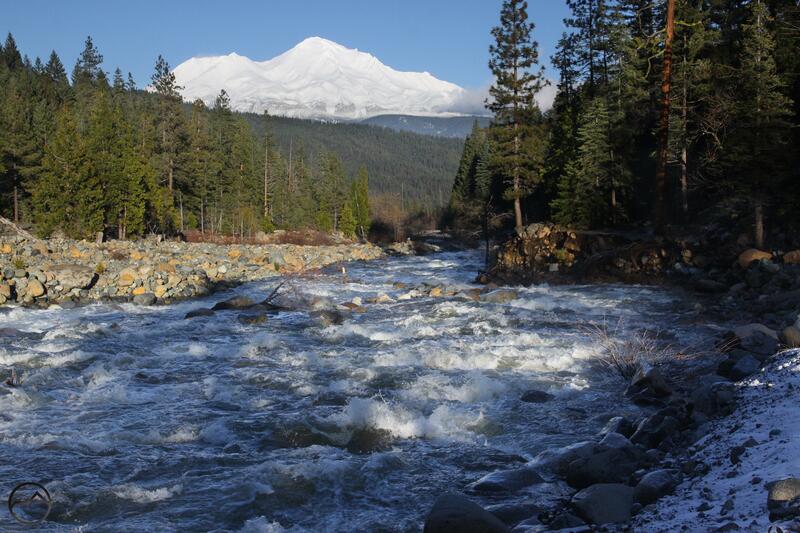 The Mount Shasta area is fortunate to have such a fantastic waterway. While not as iconic as the western and northern sides of Mount Shasta, the southern perspective is one of its most beautiful. Though Shastina is visible, the mountain appears to have a somewhat symmetrical appearance and has a certain degree of balance and proportion that is lacking from other sides, especially from the west. 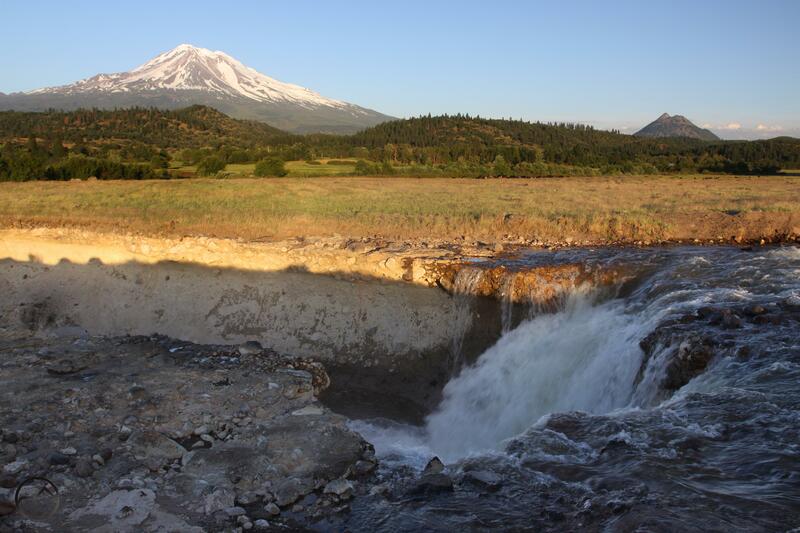 There is also a significant amount of fascinating geology exposed on the south side of Mount Shasta. Three glaciers, the Mud Creek, Konwakiton and Watkins Glaciers are all found on the upper slopes of the south side. They may not be as massive and magnificent as the ones on the north and east sides but they are still quite impressive, especially by California glacier standards. Numerous towers, most notably Thumb Rock and Shastarama Point add a lot of ruggedness to the volcano’s appearance as well. However, it is perhaps Mud Creek that is the most dominant feature on the south side. It may be hard to pick out at first but once it is located, it cannot be avoided. Nonetheless, it is not just the canyon, but the overall arrangement of all these features that makes the view of Mount Shasta’s southern flanks so appealing. View north side locator here. View west side locator here.